Ensential companion for walking, running, cycling, tennis, yoga, dance and more sports. See your daily stats and visualize where you’re headed and help you get to where you want to be. 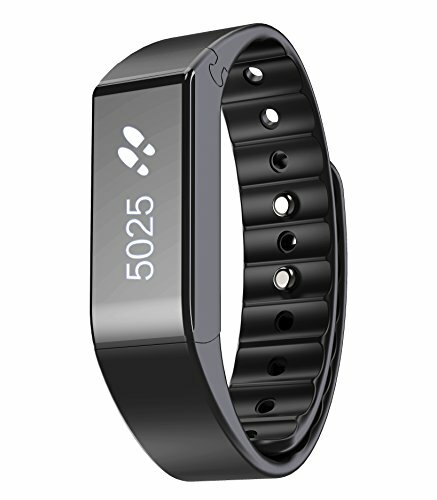 Tracks calories burned, floors climbed, active minutes, stepts, distance, sleep quality, and more. Wirelessly sync your smartphone automatically and enhance your experience with the Vidonn app that turns the data into easy to read charts..
Assigns an attainable daily goal and provides motivating feedback to help you reach it and meet your milestones. Keep adjusting your goal for the based on your personal settings and gradually nudging you toward a healthier lifestyle. See calls and texts notifications from your wrist OLED directly. Inactivity minitor reminds you when sitting at a desk for a long time. Never lose track of time and forget to move.